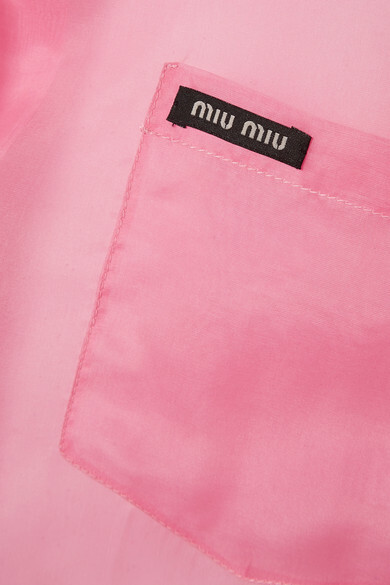 Miu Miu's Spring '19 collection is further proof that Miuccia Prada has a real talent for re-imagining classic pieces in such fresh, unexpected ways. 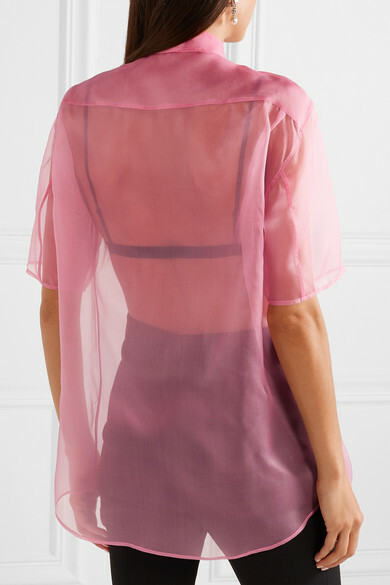 This oversized shirt is cut from sheer baby-pink silk-organza and has a contrasting logo patch at the pocket. Wear it over a triangle bra, or under the brand's blazer, as styled on the runway. Shown here with: Tibi Shorts, Prada Shoulder bag, Miu Miu Pumps, Baserange Bra, Miu Miu Earrings.